Built between 1881 and 1884, Fort Vaux was one the fortresses of the Verdun complex and interlocking defensive system constructed by General Séré de Rivières. The dominating position of the Fort over the village that bears its name and overlooking the eastern part of the Woëvre Plain made it a first class observation post. 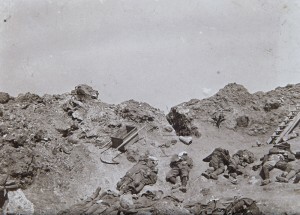 In August 1915, a progressive disarmament of the forts of the Verdun defensive system was carried out in order to send the guns and ammunition to the front lines. 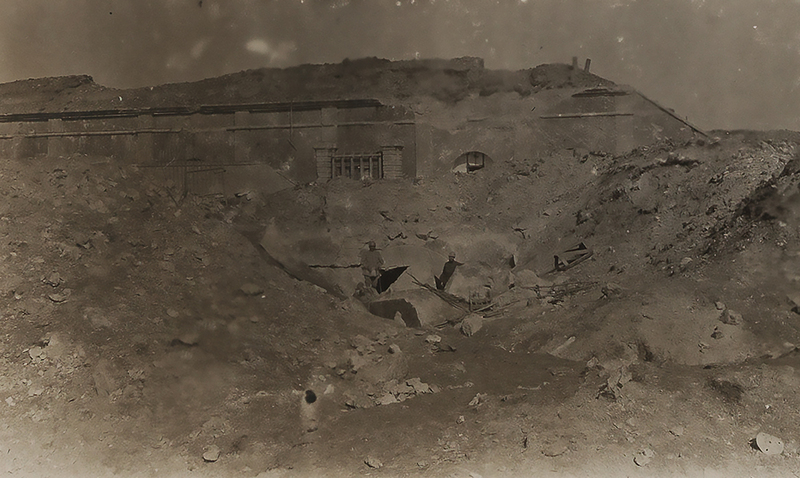 Heavily shelled in the early stages of the Battle, Fort Vaux was one of the main objectives of the German attack that begun on 1 June 1916. On 2 June, the fort was completely surrounded and subjected to a daily onslaught of thousands shells, gas attacks and flamethrowers. Inside the fort, about 500 men offered a fierce resistance for six full days. 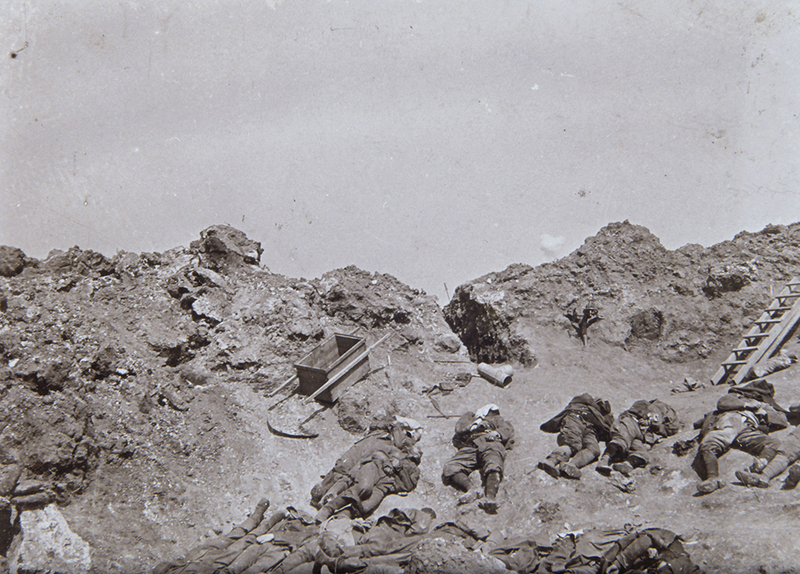 Finally, on the morning of 7 June 1916, Major Raynal and what was left of his garrison had to surrender Fort Vaux, not before having exhausted all their drinking water supplies and witnessed the failed attempts of a badly needed French counterattack. 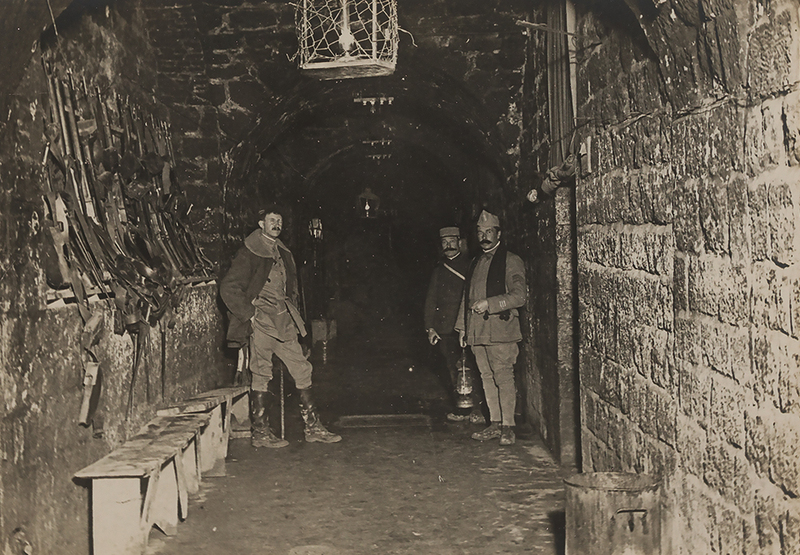 After the capture of the Fort, the Germans gave military honours to all the surviving soldiers of the garrison who came to symbolize the unshakeable courage, endurance and sacrifices of the «Poilus» of Verdun. 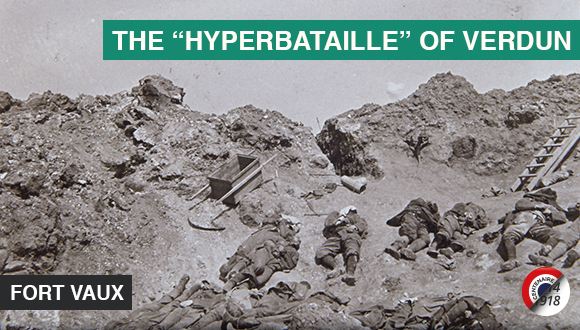 The French infantry recaptured the Fort during the night of 2-3 November 1916.